Today marks a very special day for Craig & Pippa-they’ve been married 15 years! 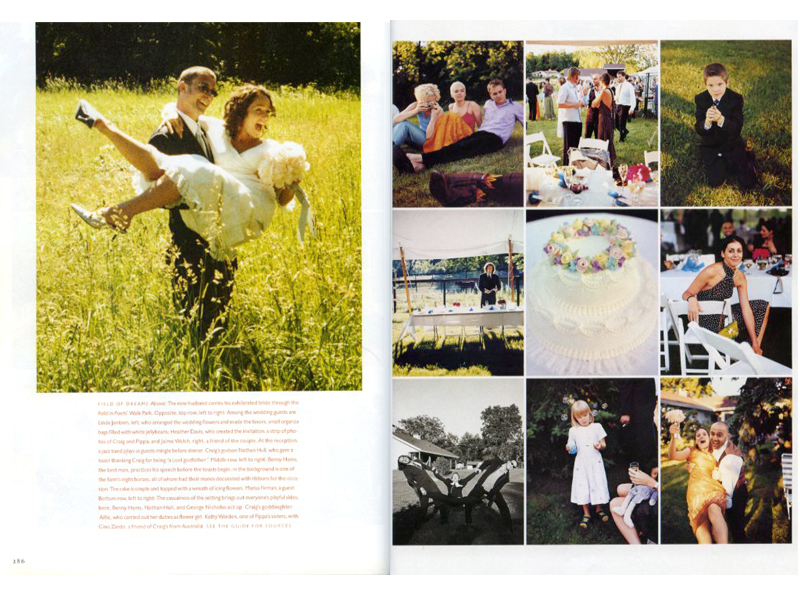 For their own wedding in Upstate New York, they had the fabulous photos published in Martha Stewart Weddings Fall 2001 issue and we’re just swooning over the images and vibe of their day! As we pop open some champagne for them, have a look at their sweet day.